Earlier this week, the first official look at Shazam in costume was outed. 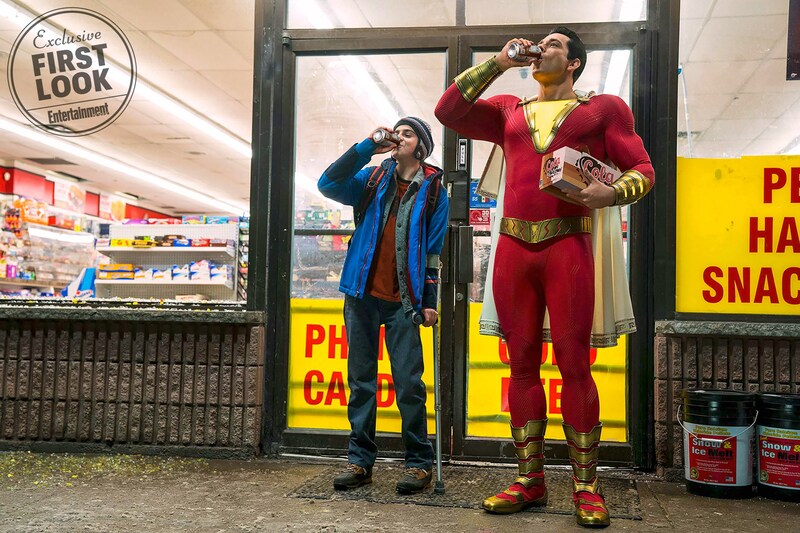 The still shows Billy Batson as Shazam sipping a can of Cola outside a retail store alongside fellow orphan Freddy Freeman. This photo comes months after several looks at Zachary Levy in Shazam costume leaked from the sets. Around the time, director David Sandberg had commented that Warner Bros. would release an official photo if someone managed to get a clear snap but to no avail. Until now that is. Looks like SDCC 2018 is shaping up to be the event of DC. While Marvel has walked away with all the box-office, Comic Con truly feels like it’ll kick-start a second innings for DC. We’ll bring you the best coverage from the event so stay tuned over the weekend.